What Can The Boston Bruins Acquire For Zdeno Chara? The new regime of the Boston Bruins is not afraid to make bold moves. General manager Don Sweeney has made three trades that would classify as “major” moves. Indeed, trading away Dougie Hamilton and Milan Lucic, two important pieces to the roster, were a big deal for a fan base that expected some form of change after the reality of no playoff hockey. Instead of mere tweaks, Sweeney took his opportunity to make a statement and claim this as his team. Say what you will about the former Bruins defenseman; you have to admire his willingness to shake things up. With that said, let’s revisit a topic from February. 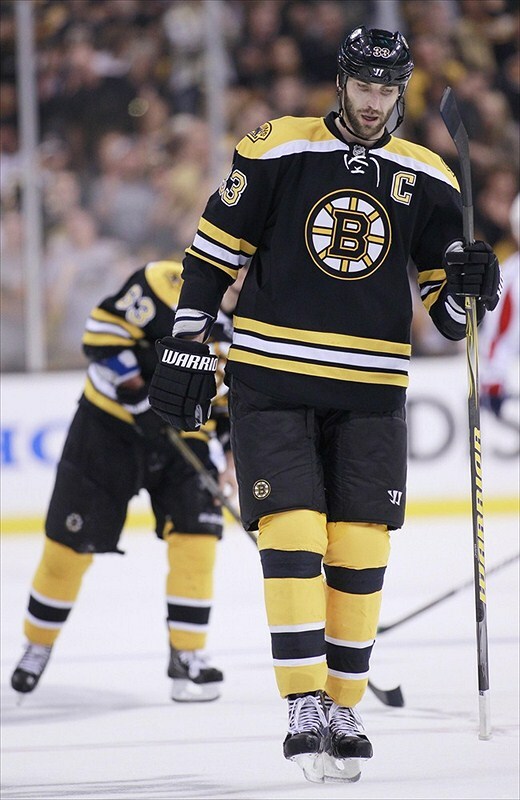 Boston captain Zdeno Chara was in the midst of a subpar season. 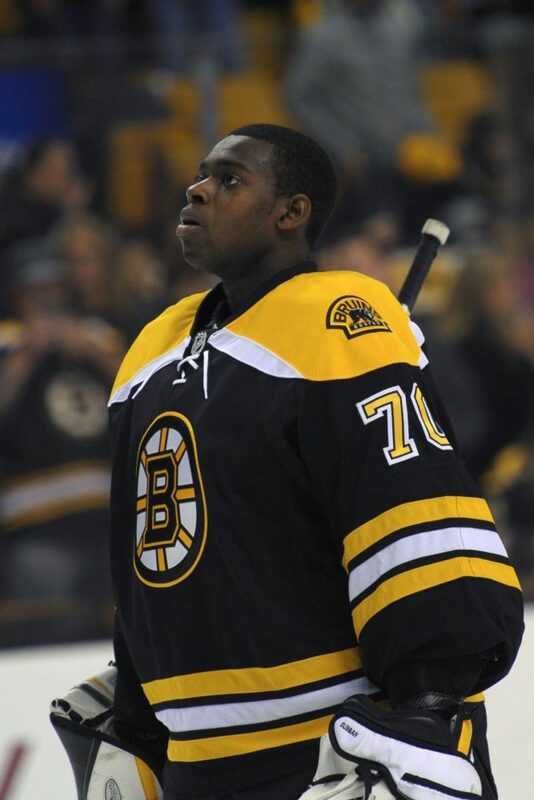 A torn ligament in his knee cost the 6’9 defenseman 19 games in which the Bruins went 11-7-1. Some in the media thought the Bruins would be better off trading away Chara at the deadline for various reasons. I was not one of them. My stance remains the same today but it is an intriguing hypothetical question, to wonder what assets Sweeney could acquire if he decided to move on from “Big Z”. What Does Chara Have Left? Chara has a lot of question marks entering this season. The biggest one revolves around his age. He will turn 39 in March and still has three years remaining on what may be his last professional contract. The League as a whole is trending towards a faster, more finesse style of play, which spells trouble for the big man. Chara isn’t fleet afoot and struggles when matched up against speedy, smaller opposition. Watch any game against the Montreal Canadiens and you’ll understand what I’m talking about. Zdeno Chara saying his has permanent PCL damage can't exactly help trade value can it?! Second, how will his left knee perform? As you may recall, Chara suffered a torn posterior cruciate ligament (PCL) after a hit on New York Islanders captain John Tavares back in October. When the season ended, the tallest player in NHL history admitted the ligament was “about 10 percent attached” to his left knee. That can’t be welcoming news for Bruins fans knowing their aging captain and arguably number-one defenseman has a permanent injury to his knee, regardless of what ligament it is. The age and injury concerns for Chara are only compounded by his contract. Including this season, three years remain on the extension he signed in the summer of 2011. For this season and next his salary cap hit is nearly $7 million, third-highest on the team behind Tuukka Rask and David Krejci. That number will drop to $4 million at the start of the 2017 campaign, provided he’s still here. According to generalfanager.com, Chara has the eighth-highest cap hit of all defensemen for the upcoming season. He’s also the oldest blue liner in the top-10. In addition, the captain also has a no-movement clause, meaning Boston would need Chara’s blessing before actively seeking a trade. The last thing an older player wants to do is pack it up after spending nine seasons playing a big role in resurrecting the Black and Gold back to prominence. Unless the Bruins are out of playoff contention by February, it’s impossible to fathom Chara wanting out of Boston. 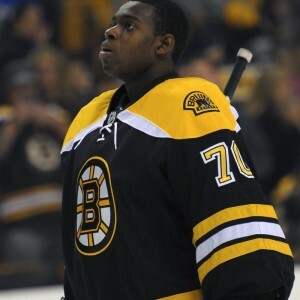 What Can The Bruins Get? What all that in mind, here’s the million dollar question: What can Sweeney and the Bruins get if they trade their captain? In short, not much. Why’s that? Because of all the reasons stated above. Chara will turn 39 in March. He has a permanent injury to a ligament in his left knee. The defender has three years left on his contract averaging a cap hit of close to $6 million per year…with a no-movement clause. If that didn’t do the trick, consider that Sweeney has to find a team that a) has enough cap room, b) is in the market for a defenseman, and c) needs veteran leadership. How many teams around the League meet all three requirements? Regardless, the only way Sweeney could get anything of NHL-roster value for Chara is if an attractive young prospect (Khoklachev, Subban, etc.) were included in a proposed deal. On his own, Chara may be lucky to get the Bruins a B-level prospect and possibly a second or third-round draft pick. Keep in mind that Boston would certainly have to retain a portion of his salary. Of course, this is purely speculation but it is not the ideal scenario. In addition, the Bruins would now need two top-four defenseman. The departure of Dougie Hamilton opened up a void on the blue line that has yet to be filled. Trading Chara would leave the club with a gaping hole on the back end and no clear answer as to who would fill it. Ask yourself: is the return you would get for Chara worth the repercussions to the team? Leave your thoughts in the comments below or reach out to me on Twitter @JoeCherryTHW with your opinions!